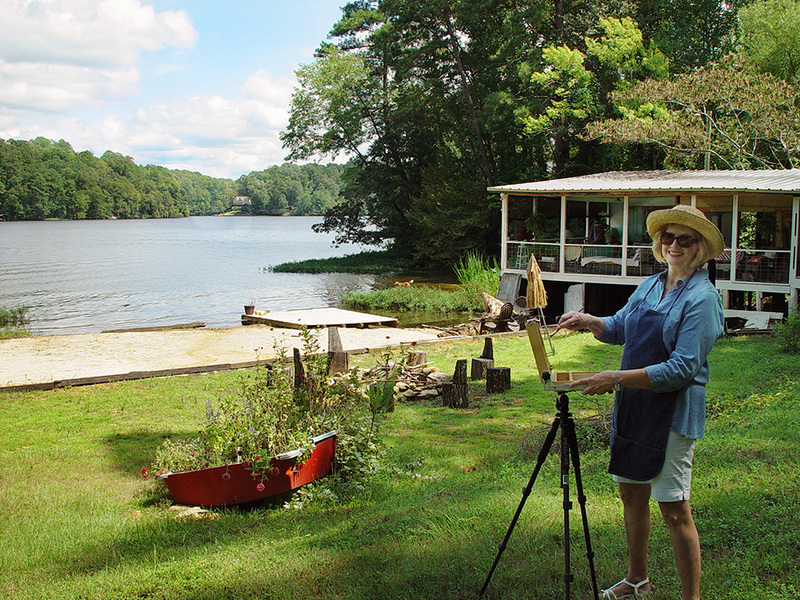 Shirley Esco is pictured participating in a DAC Foundation plein air painting event at Nobles Ferry on Lake Jordan. Nobles Ferry was the home of the historic Dixie Art Colony form 1937 until 1948. • Corn Creek, 2018, acrylic on canvas, 30"x24"
• Nobles Ferry, 2017,acrylic on canvas, 11"x14"
• Long Way Home, 2018, acrylic on canvas, 24"x30"
John Kelly Fitzpatrick's legacy lives on at Nobles Ferry and other sites frequented by the Dixie Art Colonists. 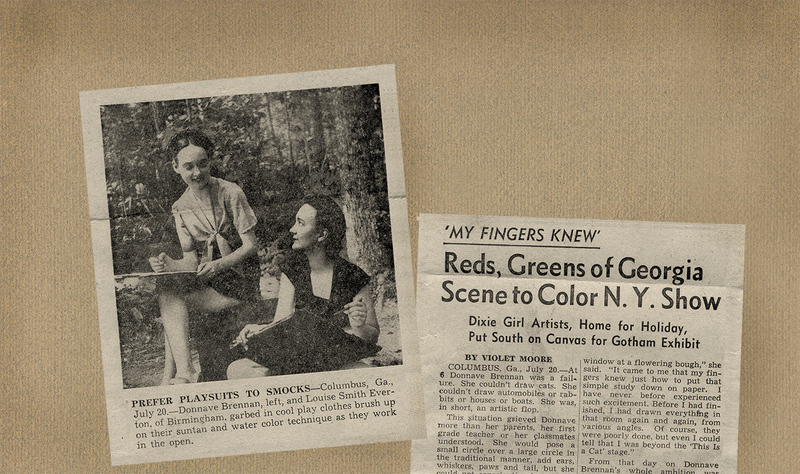 In addition to being a highly respected southern artist, during the 1930s and 1940s, Kelly Fitzpatrick was well known throughout the Southeast as a promoter of southern artists. 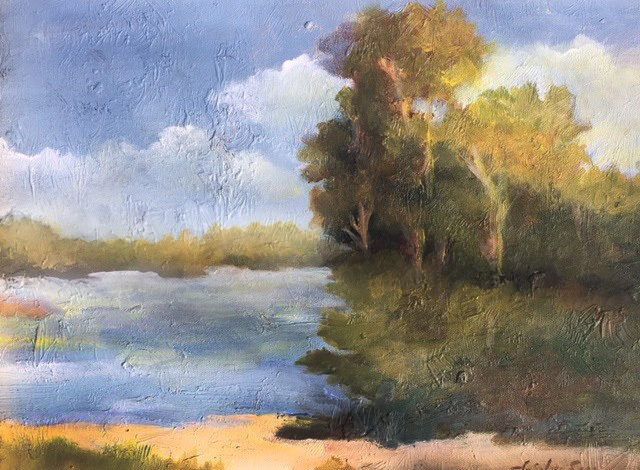 As part of the Dixie Art Colony Foundation's quest to preserve the legacy of Wetumpka artist John Kelly Fitzpatrick and continue his tradition of promoting southern artists, the Dixie Art Colony Foundation is proud to feature, River Region artist Shirley Esco as the second of many practicing southern artists we plan to spotlight. SHIRLEY ESCO: Esco’s southern roots are firmly planted in Elmore County. She has lived in the Deatsville area of Elmore County all of her life. While working in the banking industry, Esco studied Commercial Art at Auburn University Montgomery. After completing her education and retiring form the banking industry, she became a full-time artist and an avid promoter of the arts. Esco is well known in the River Region for her spirited community service. She is a long-time member of the Elmore County Art Guild, serving multiple terms on the ECAG Board of Directors. 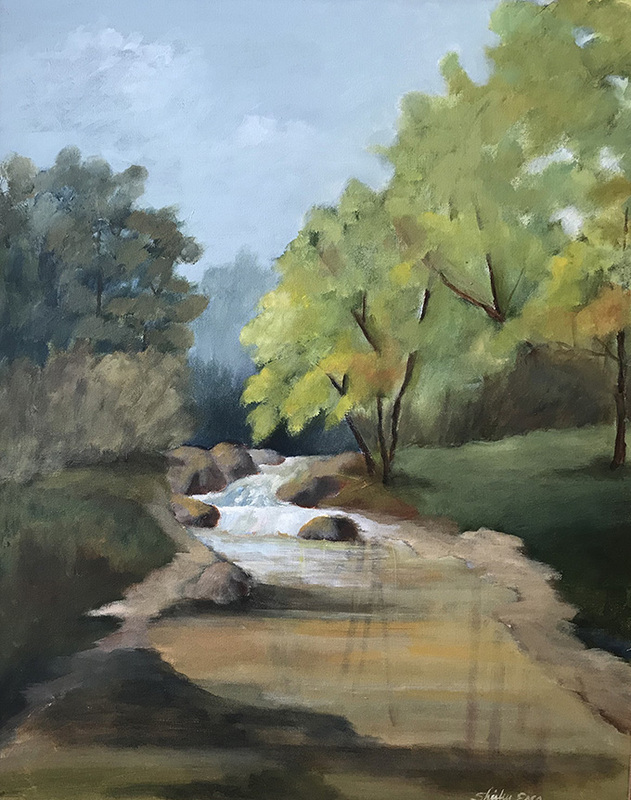 She is a past President and current Vice-President of the Elmore County Art Guild. Esco has also served numerous terms as the chairperson for the ECAG Annual Show, and Sparking the Arts, Elmore County’s oldest and largest annual countywide student art competition. She also serves as the chairperson for the ECAG Tallassee Now & Then competition. According to Esco, clouds have always captured her imagination. 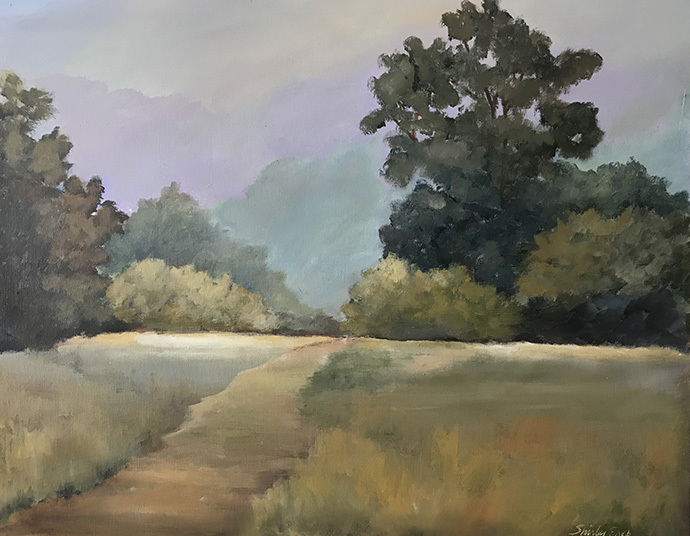 “Whether it’s a reflection in the water or a brewing storm, to me, clouds evoke a quiet, peaceful, and serene calm in the world.” When viewing Esco’s work it is easy to understand her love of the rural landscape. “I can sit for hours soaking up the beauty of a peaceful lake or the view of cotton fields by a dirt road.” She strives to capture these peaceful moments in her work, because she believes they should never be forgotten. Esco’s work has received numerous awards and can be found in many private and business collections throughout the South, including the Jackson Hospital Foundation. 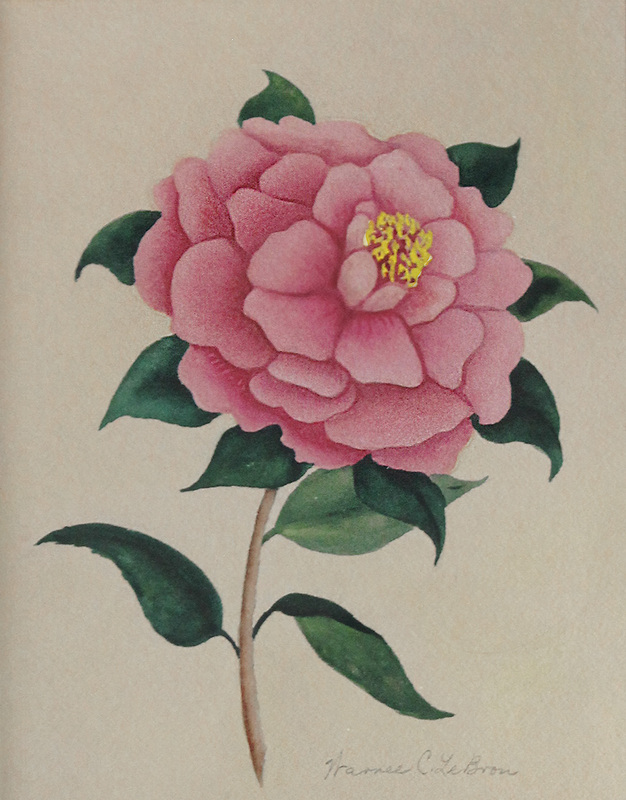 In Montgomery, Alabama, she is represented by Gallery One Fine Art. 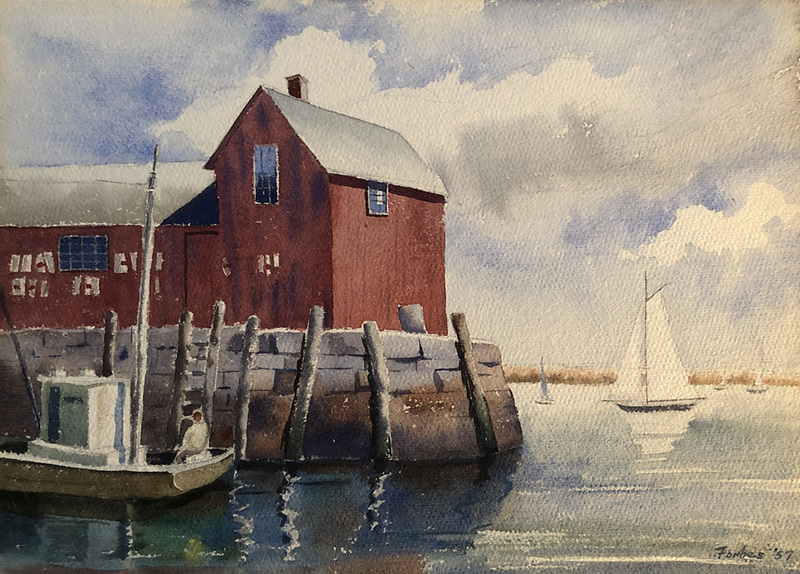 She is also an active member of the Dixie Art Colony Foundation Board of Trustees and serves as the Dixie Art Colony Foundation Board Secretary.